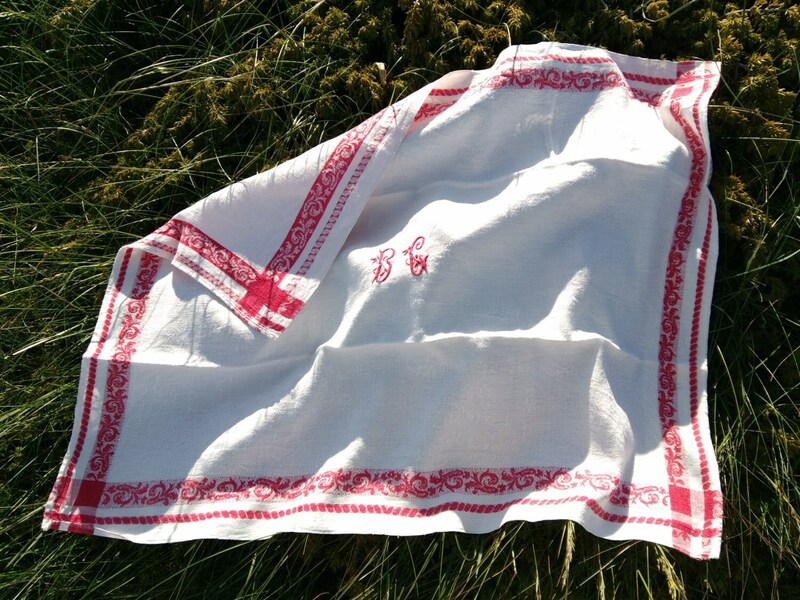 Large Antique French Empire Tea Towel. 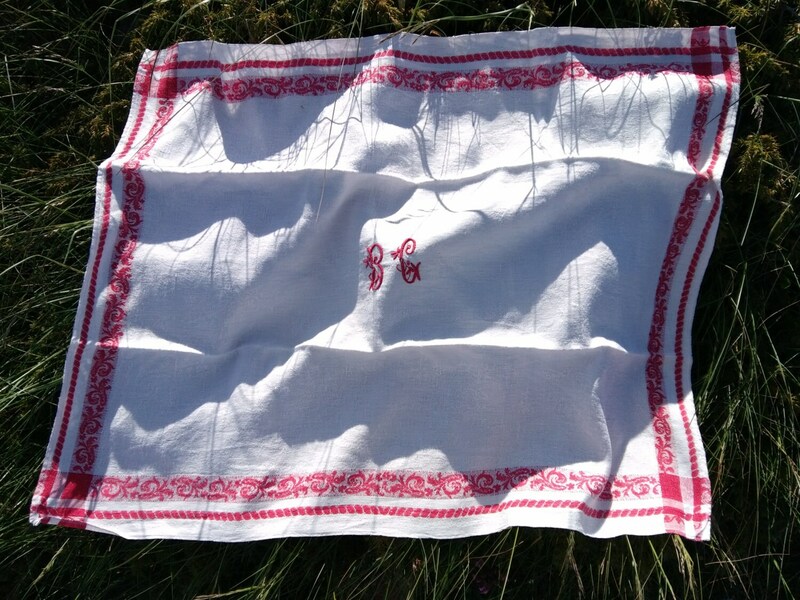 Red Bourdon Monogram hand embroidered. 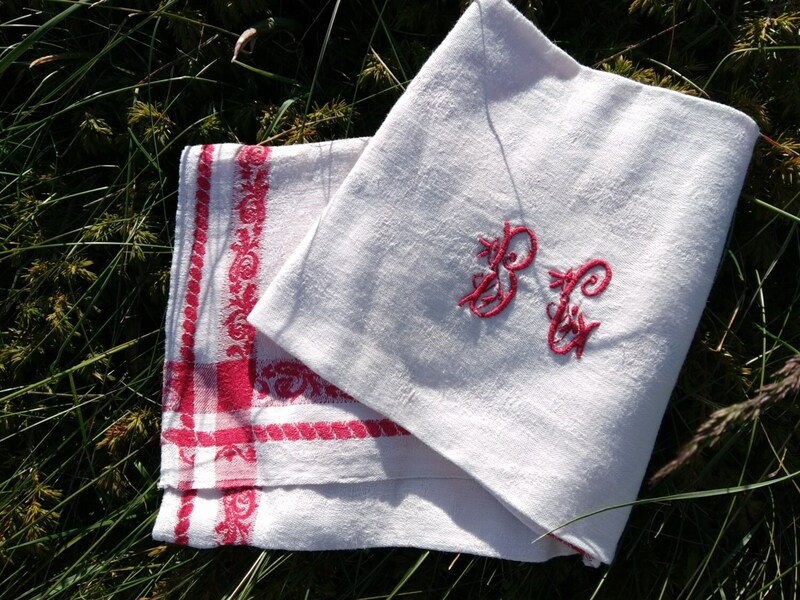 Made of high quality white damask cotton with red floral design. Good Vintage condition. 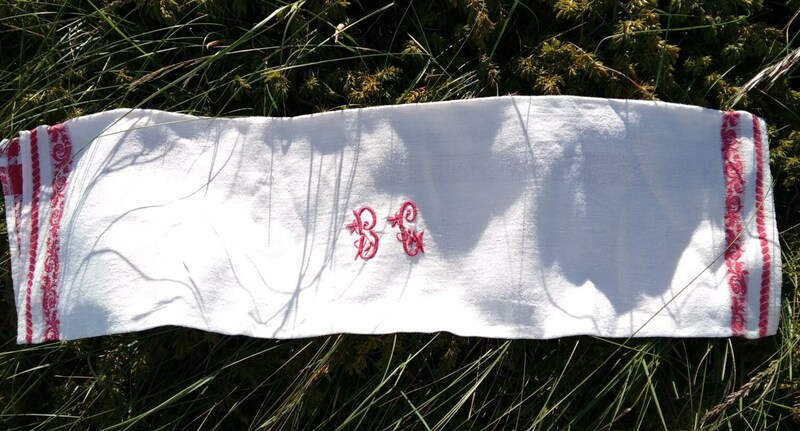 GORGEOUS piece. 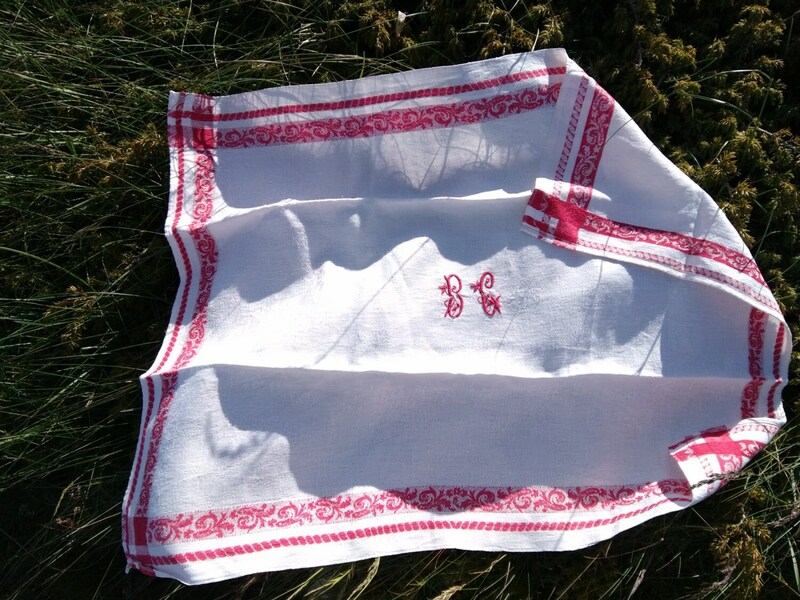 Gorgeous typical French Empire damask dish cloth !